Ernst Werner von Siemens (13 December 1816 - 6 December 1892) was a German inventor and industrialist. Siemens invented a telegraph that used a needle to point to the right letter, instead of using Morse code. Based on this invention, he founded the company Siemens AG on 12 October 1847. He retired from it in 1890. Francis Pease first used the interferometer at Mount Wilson Observatory to measure a stellar diameter, that of Betelgeuse. L. Volta discovered asteroid #1115 Sabauda. The UN Committee on Peaceful Use of Outer Space was established. The US Army launched rocket Jupiter AM-13 with the first monkey in space aboard, a squirrel monkey named Gordo. The first monkey in (sub-orbital space) was a squirrel monkey called Gordo, launched into space on 13 December 1958, in the nose cone of the US Army rocket Jupiter AM-13. Gordo did well in the flight, but died in the Atlantic Ocean when the capsule's parachute failed to deploy and it sank after impact. 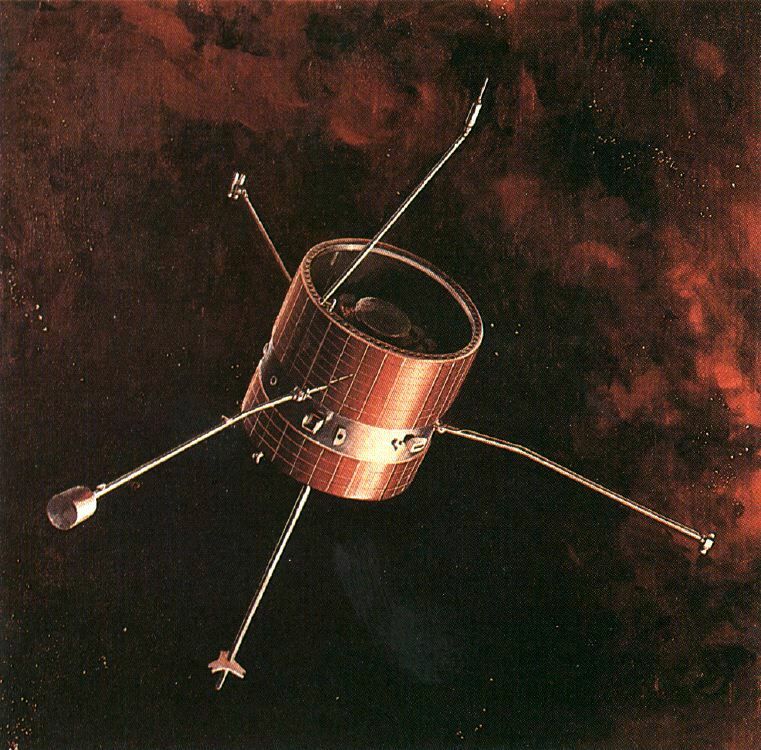 The USAF lofted Injun 3 to orbit, a magnetic field-aligned-spacecraft particularly instrumented for a high-latitude and auroral study of geophysical phenomena, on a Thor launched from Vandenberg AFB with the USAF/USN 1962 Beta Tau surveillance satellites. NASA launched the Relay 1 communication satellite whose payload included experiments designed to map Earth's radiation belts. NASA launched Pioneer 8 into solar orbit to collect solar radiation data. Pioneer 8, launched 13 December 1967, was the third in a series of solar-orbiting satellites designed to obtain measurements of interplanetary phenomena from widely separated points in space on a continuing basis. The spacecraft carried experiments to study the positive ions and electrons in the solar wind, the interplanetary electron density (radio propagation experiment), solar and galactic cosmic rays, the interplanetary magnetic field, cosmic dust, and electric fields. Its main antenna was a high-gain directional antenna. The spacecraft was spin-stabilized at about 60 rpm, and the spin axis was perpendicular to the ecliptic plane and pointed toward the south ecliptic pole. By ground command, one of five bit rates, one of four data formats, and one of four operating modes could be selected. The time interval between the collection and storage of successive frames could be varied by ground command between 2 and 17 minutes to provide partial data coverage for periods up to 19 hours, as limited by the bit storage capacity. In the memory readout mode, data were read out at whatever bit rate was appropriate to the satellite distance from Earth. NASA's STS 61 (Endeavor 5, 59th shuttle mission) landed at KSC, returning from the first Hubble Space Telescope servicing mission.